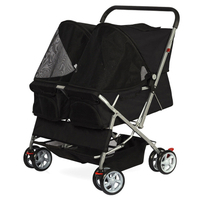 Stroller measurements: 75 x 44 x 97cm / 30 "(L)x18"(W)x38"(H)"
1) Cage can be very easily and quickly removed for conversion. 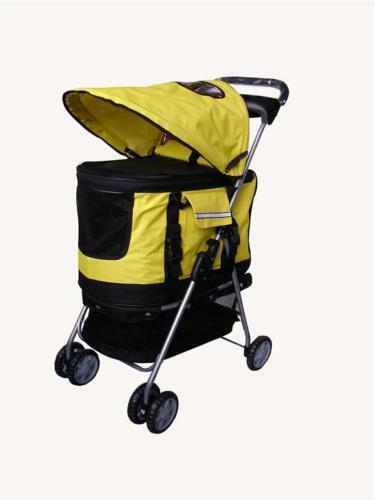 3) Frame folds easily for storage, rear Wheels Parking Brakes. 5) Free cup holders . 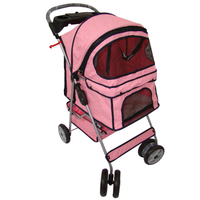 6) Pad holder that can be placed in bottom to absorb any pet accidents.